AT&T earnings for the fourth quarter of 2018 have T stock falling on Wednesday. 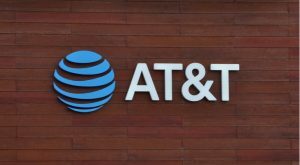 AT&T (NYSE:T) starts off the earnings report for the fourth quarter of the year with revenue of $47.99 billion. This is a drop from the company’s revenue of $49.53 billion that was reported in the fourth quarter of 2017. It was also a blow to T stock by missing Wall Street’s revenue estimate of $48.50 billion for the period. The most recent AT&T earnings release also has the company reporting earnings per share of 86 cents. This is better than the company’s earnings per share of 78 cents from the same period of the year prior. It also matches analysts’ earnings per share estimate of 86 cents for the quarter, but that couldn’t keep T stock from falling today. Net income reported in the AT&T earnings report for the fourth quarter of 2018 came in at $5.13 billion. The wireless company’s net income from the fourth quarter of the previous year was $19.14 billion. AT&T earnings for the fourth quarter of the year also include operating income of $6.16 billion. This is an increase over the company’s operating income of $1.28 billion reported during the same time last year. AT&T also provides an outlook for the full year of 2019 in its most recent earnings report. This outlook includes earnings per share increasing in the low single digits when compared to 2018. Wall Street is expecting earnings per share of $3.57 from T in 2019. T stock was down 4% as of Wednesday afternoon. Article printed from InvestorPlace Media, https://investorplace.com/2019/01/att-earnings-hit-t-stock-hard/.